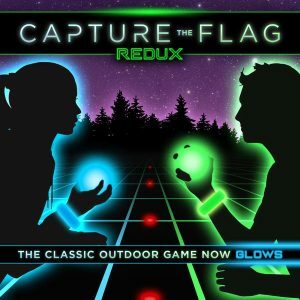 Here is one thing we really love about our glow in the dark game Capture the Flag REDUX… you mainly play it in the cool part of the day and not during the blazing hot sun hours. Understandably, it is difficult to get people motivated and outside when it’s a 100 degrees! So our Capture the Flag REDUX game already has some built in comfort to it: you’ll be sweaty because of running, not because of the sun. If you do not know how to play this exciting game, here is an article we wrote on how to play Capture the Flag. And, here are the Capture the Flag rules. BUT NOT EVERY EVENT TAKES PLACE AFTER THE SUN SETS! Find a gym, room, or space through a local group. Maybe it’s a school? Or maybe a community center? Church buildings also have great spaces to play sports. You can also look into renting out indoor soccer fields or sports complexes. For an event on the cheap, it’s usually best to book with a parks and rec center. They tend to have cheapest prices. By this we don’t mean literally, unless that’s something you ARE very concerned with. Just make sure that you gauge that the room will have enough space to run. Even if the room looks big enough, remember that you need to set some “out of bounds” space aside so people running will have some safety space built in. Usually best not to have “walls” as the out of bounds. If you are finding it hard to find a space that doesn’t have enough running room, consider some of our game variations. Some of the variations involve more strategy and hiding than actual running. Or maybe consider playing each game in slow motion, limit speed to speed-walking, or require players to waddle like penguins! For our glow in the dark Capture the Flag REDUX game kit it is vital that you choose a dimly lit place—NOT COMPLETELY PITCH BLACK—to help enhance some of the glowing lights. Also, it’s the only way you’ll be able to see the glowing orbs and jail markers. If you book a place with windows, maybe bring along some parchment paper to temporarily block some of the light. How do you play Capture the Flag REDUX indoors without always making the orb so visible? If the orb can’t be hidden because of the space, maybe consider a game variation where one player is holding the orb, etc. Or some game variations don’t even need the orb! (For example, werewolves). 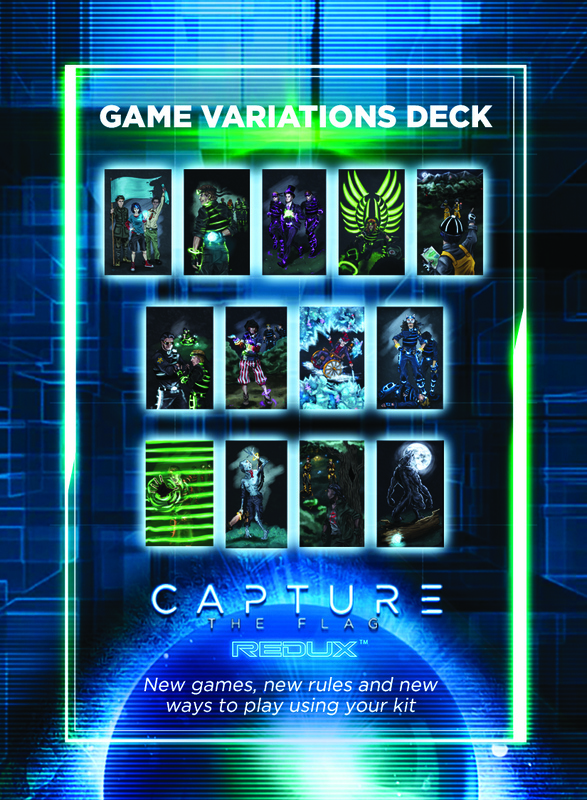 These are just a few examples of how to play Capture the Flag REDUX indoors. If you want more information on game variations, sign up for our newsletter where we send out free ones during certain months!